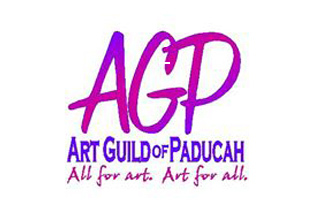 The Art Guild of Paducah presents our Featured Artists for April: Susan Grace is showing her new crazy quilts made from repurposed silk ties, Bianca Peters has some fabulous new jewelry in the store and Sharon Chalke is displaying her popular quilt patch ceramic work as well as some lovely new ceramic designs. Come to their opening and pick up something beautiful! The show will be open all month so quilters are welcome during Quilt Week! We have several fiber artists who work in a quilting style, In addition to our featured artist Susan Grace, we want to highlight Helene Davis who does beautiful hand dyed and quilted pieces, Charlotte Erwin's amazing marbling designs, and our newest addition to the Guild, Rose Hughes. Her work is well known to the area, colorful, fun, and well crafted. Art Guild of Paducah 115 Market House Sq.